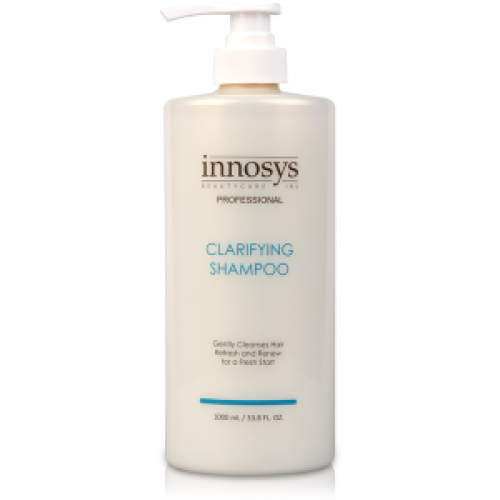 A Pre-Treatment Shampoo designed to cleanse the hair and scalp of excess sebum and styling/leave-in product residue and buildup. Aloe juice for added moisture, argan, tea tree and linseed oils for shine, softness and protection. Clarifying Shampoo is a high-pH shampoo with cleansing agents that aid in removing the residue buildup in the hair. Clarifying Shampoo plays a big part in the iStraight System, iStraight Keratin and Reaction Treatment services by opening the cuticles with its high pH, preparing hair for readily accepting the solutions and/or treatments. Highly recommended.